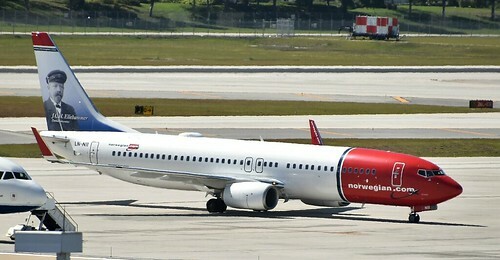 Boeing 737/8W of Norwegian Air Shuttle,depicting "J.H.C. Ellehammer Danish inventor" on tail at Ft. Lauderdale,(Hollywood,) Inter'l. - FLL,Florida, U.S.A., 11/02/17.